1. Pre-heat oven to 450 degrees. 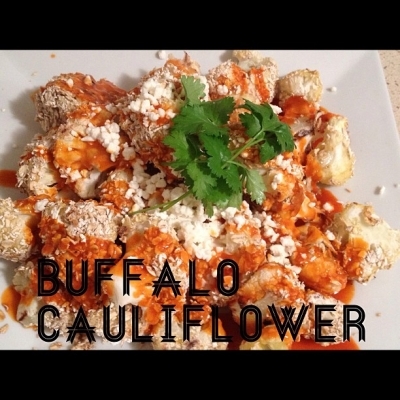 Break up cauliflower into manageable bites. 2. Toss cauliflower in egg wash.
3. Toss caulifower in ground oats. 5. Buffalo sauce. Buffalo sauce. Buffalo sauce.